Protection Dogs Plus’ sister company is now working with Lufy, a young German Shepherd sent to us from Dubai, UAE for obedience training. 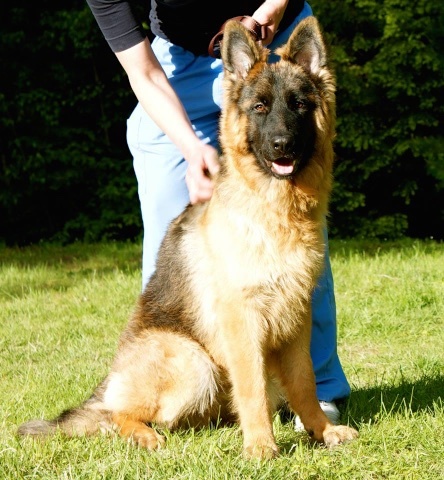 The training system that First Choice Canine has developed can provide dogs of any breed with rock-solid stays, off-leash heeling, manners, tricks and more. Our off-leash obedience program is something we include with all of our Protector, Guardian, and Guardian Plus protection dogs for sale. Often, clients purchasing a fully trained personal protection dog from us would also like to enjoy this kind of ease and peace of mind with the pets they already have. If you are interested in the kind of obedience training you see in the video below, please contact us for more information.